If you have a credit card and some cash in your wallet, you might think you’re all set for anything you might need. But in fact, there are three different types of cards you really should be carrying with you wherever you go. A prepaid card. Prepaid cards look like credit cards, but work very differently. Instead of accessing a line of credit that you’ll use to make purchases, and then paying them off later, you’ll load money onto the card in the beginning. You’ll use the card the same way you use a credit card, but you’ll never have to make a minimum payment or pay off a balance, because the money you used was already on the card. Prepaid cards are great starter cards for younger folks; you can get one starting at age 13 if you have a parent’s permission. And they make handy emergency cards, rather than stockpiling cash around the house. A cash back credit card. 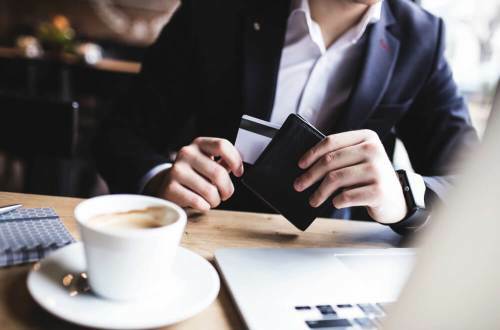 These credit cards, which offer up to 5% cash back on certain purchases, and 1% cash back on everything you spend, are really the workhorses of credit cards. They’re easy to get, easy to use, and the rewards are easy to redeem. Everyone should have a cash back card in their financial toolbox. A travel rewards credit card. For the best return on your money, you really need to have a travel credit card. If you have excellent credit, you’ll be able to qualify for an elite card, which will give you a big sign-up bonus, plenty of points or miles earning opportunities, and perks like free bag check, priority boarding, and concierge service. Don’t miss out on any of these three great types of cards.